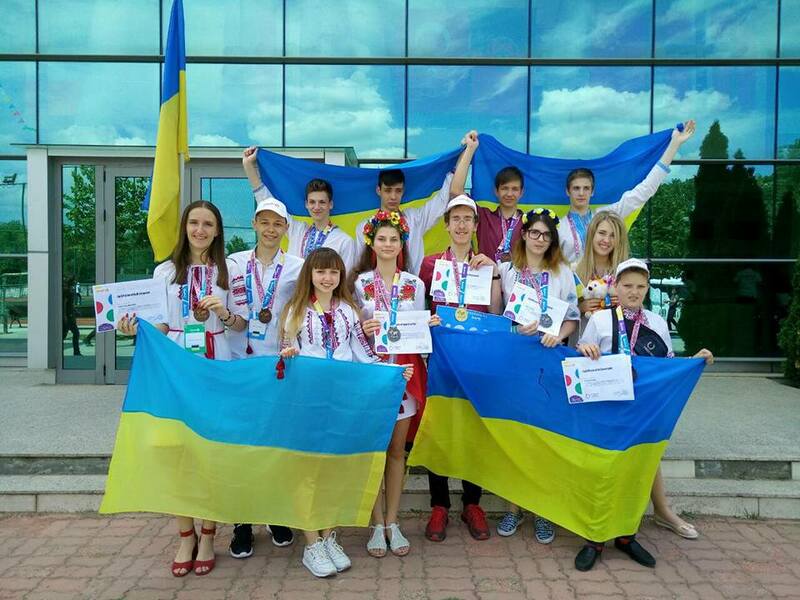 On May 10-13, 2018 in Bucharest, Romania, an international contest of IT technologies, Infomatrix 2018, was held. 339 projects from 43 countries of the world competed in the nominations Programming, Computer Art, Hardware Control and Short Movie, as well as in 7 nominations related to competitions of robots. The delegation from Ukraine was represented by such cities as Kiev, Dnieper, Zhitomir, Chernigov, Odessa, Tarutino and Kamenets-Podolsky. I won the Grand Prix and the Gold Medal in the Programming nomination and would like to share my emotions with you and express my gratitude. In general, I am very pleased with this result. And it’s not even that I got the main prize, but also the atmosphere at the spot where the championship was held and in the hotel, how much new and interesting there was there and how many new acquaintances and ideas I found. To my parents, for the graid support and faith in my strength. To Mum (and my English teacher at the same time) for a high level of language, irreplaceable during the project presentation. To Dad for bringing me a love of science and technology. To Chernihiv Magnet School #1 and particulary to Shelest Olga Oleksandrovna (director) for moral support and a laptop provided for the demonstration of the program, as well as to all those teachers who patiently stood the number of lessons I missed because of preparations for the contest. To Lemeshovets Ann Vladimirovna, physics and computer science teacher at Chernihiv Magnet School #1, my supervisor and mentor for numerous edits and clarifications, tips, reminders and words of support. Thanks to her, all materials for protection were of high quality, as well as the protection itself. To the delegation of Ukraine in this competition for an incredibly friendly atmosphere, mutual assistance and understanding. In particular, to Ann Zamura (Dnepr) and Pasha Shkaeva (Zhitomir), who set the mood of the whole week and became my friends, and Nikolai Dmitrievich Tarasyuk, a computer science teacher at Zhitomir School# 17 for helping me in everything as if I was his student. 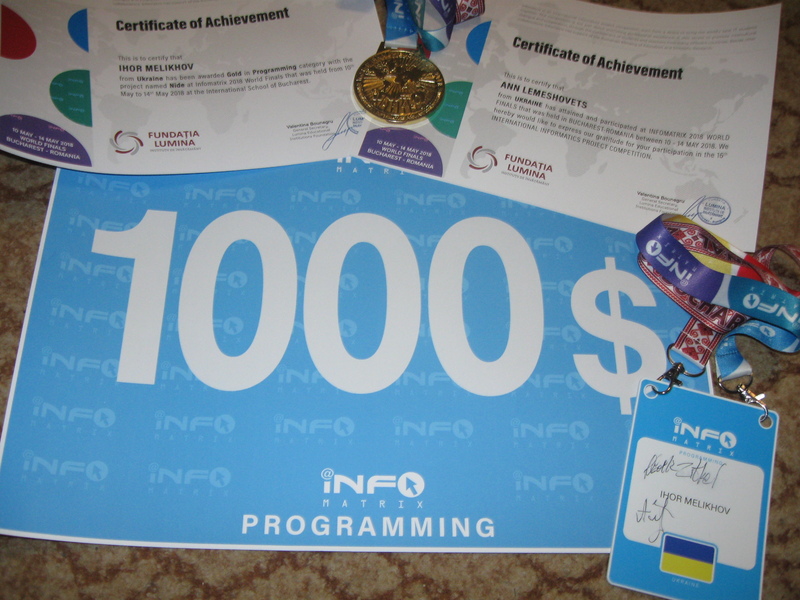 To all my friends, as well as colleagues from #mineprogramming, who supported me throughout the contest, especially to Dmitry Agibaylov, my classmate and best friend, for his strong belief that I would take the grand prix. 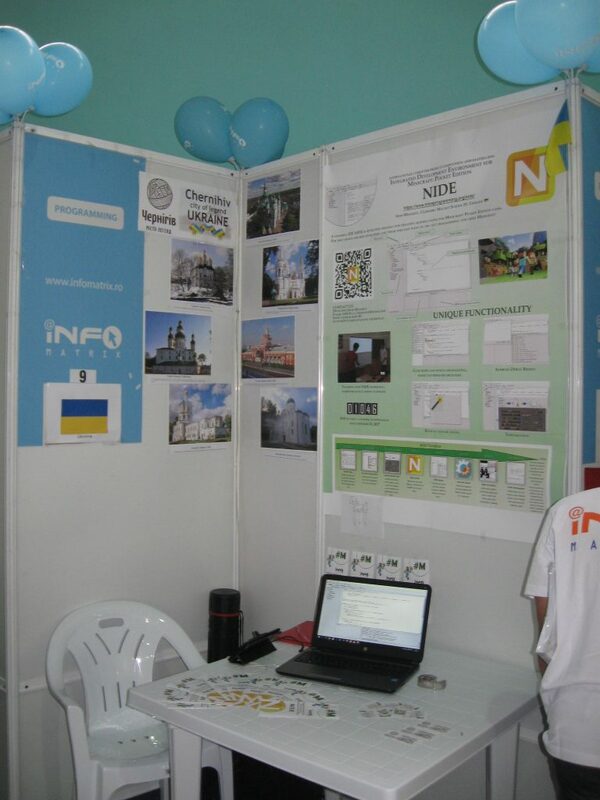 To the organizers of Infomatrix for the tremendous work on the preparation of the competition and for such a unique opportunity for self-realization and invaluable experience of communication at the international level. To Levchenko Inna Nikolaevna, a deputy of the Chernihiv City Council, for assistance in organizing a dialogue with local authorities. To the Department of Education of Chernihiv City Council for the financial support (accommodation and transport). To Prima Sergey for all printed materials (poster, brochures, business cards …). Knowledge of English. Of course, you can take the silver with the pre-prepared text, but for gold you need to be able to accurately and convincingly answer all the questions (especially in terms of vocabulary). So, if you are planning or have already started to engage in programming, be sure to learn English. Ability to sell. Emotionality and self-confidence during the presentation will make it much more convincing than the monotony of a learned lecture. Faith in what you say. I am confident that NIDE, my project and our development environment, is a worthy program and can be used in schools to learn the basics of programming. Accordingly, proving this to others does not seem anyhow complicated. Team spirit. A lone wolf is not strong enough for everything. The team spirit is extremely important here. Finally I would like to give a piece advice to everyone who reads this article. Do not be afraid to do what you believe in, do not be afraid to break stereotypes and change this world for the better, and then the work will bring you not only money, but also satisfaction. Do not be afraid to start something new, experiment, and everything will turn out the way you want. Believe in yourself and never give up. Everything is possible.